For the past two decades I have made it a priority to insure the tangible benefits of what I offer students and clients. I am a scientist by training and am inclined toward measurable consequences. In fact I was drawn to teach MBSR because of Jon Kabat-Zinn’s research-oriented early work (he is the creator of MBSR, my principle teacher, and was trained as a scientist also). Below are summaries and links to a number of studies I have coauthored with a number of colleagues about my work here. The results parallel Jon’s early work and decades of studies published about the consequences of mindfulness training, especially MBSR. For a full bibliography of my research and publications see my listing: US National Library of Medicine. 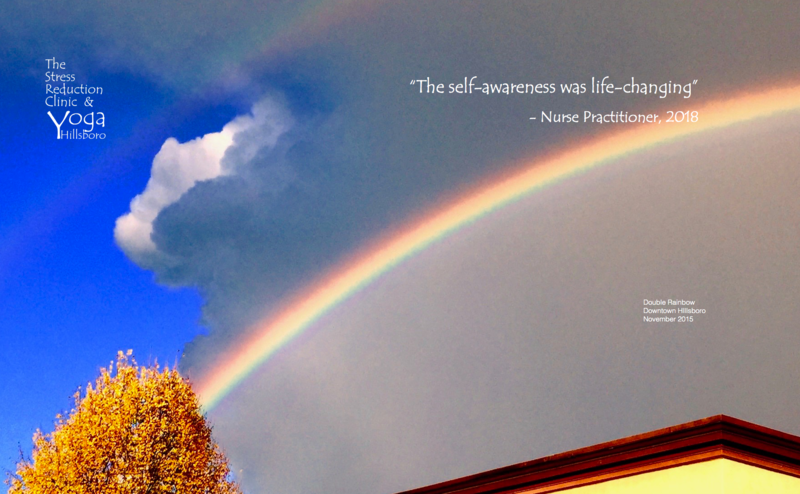 While these are studies about my mindfulness-based trainings, there is ample research documenting the benefits of the other modes of learning offered here. Note that the content of MBSR overlaps substantially with my mindful yoga courses, workshops, and Resilience & Life Coaching. Students and clients in these trainings often comment about the benefits cataloged in the research papers below. 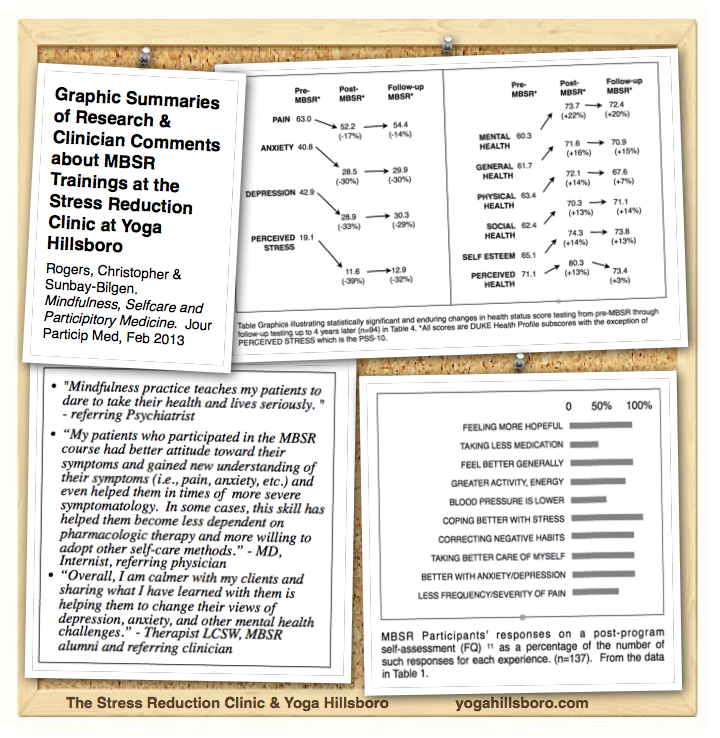 Clinical results of my Mindfulness-Based Stress Reduction (MBSR) trainings here are summarized and discussed in the Journal of Participatory Medicine. Clinical results of my trainings with police officers and firefighters have been catalogued in many journal articles and reports. 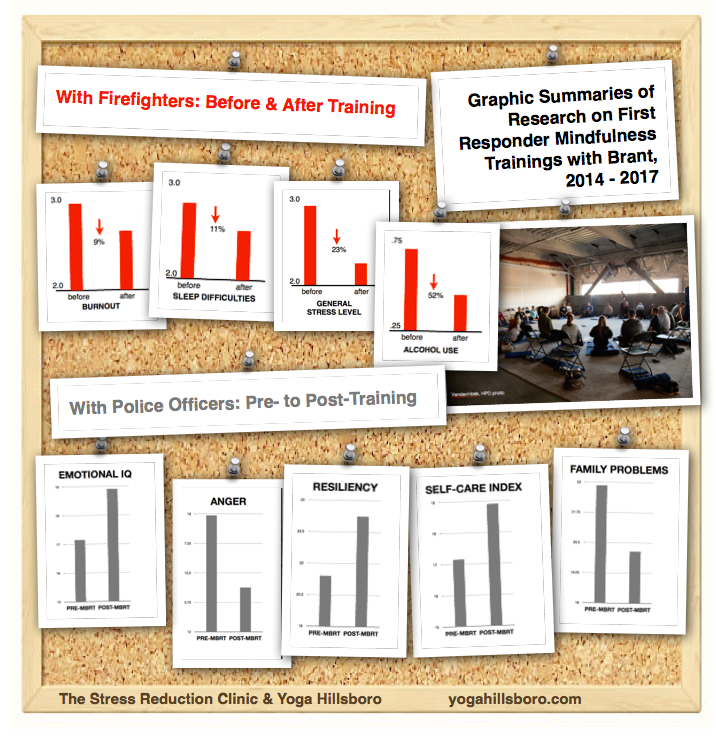 If you have a deep interest in this work here is a link to one of my recent posts that gives you direct links to the studies and reports summarized below: Work with First Responders. The results are parallel to those above and to studies world-wide about the positive consequences of mindfulness practice.